To create a site, start by clicking the button. This will bring you to the Sites page as shown below. This is where you can view all of your created sites as well as other customers created sites they have chosen to be public for everyone. To create a site, click the button. This will bring you to the Create Site page as shown below. Here, you can fill out information about the site you wish to create. Name - The name of the site. Address - The address of the site. Our mapping feature is through Google; as you type the address, suggestions will appear which can be clicked to automatically fill the address. City - The location of the site. Postal Code - The postal code of site location. Coordinates - The exact coordinates of a site. 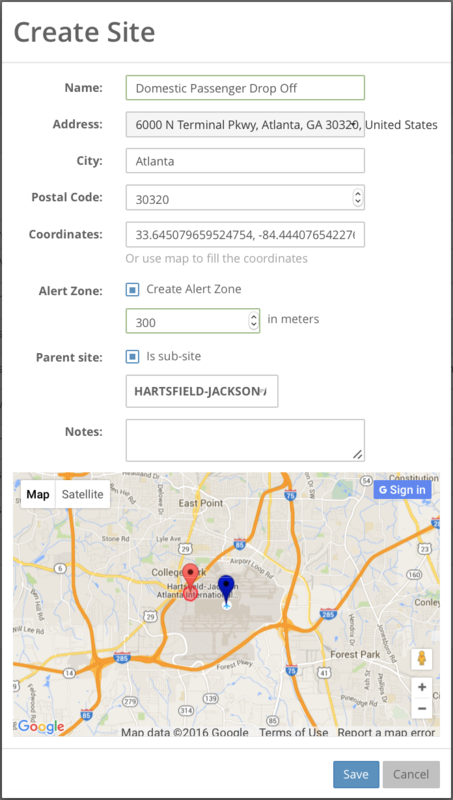 This will fill automatically if an address is entered or a pin is placed. If there is not an exact address, place a pin by clicking the map. Pins will appear on the map as shown below. 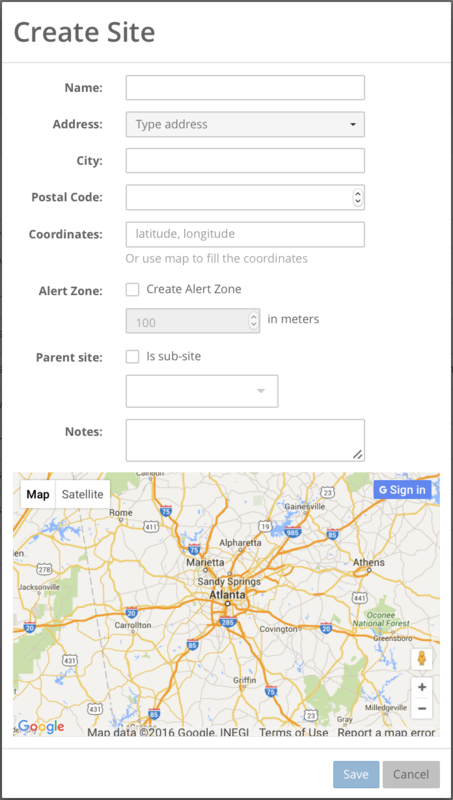 Alert Zone - Click the box to create an alert zone for a site. The size can be changed to suit the site you are creating. 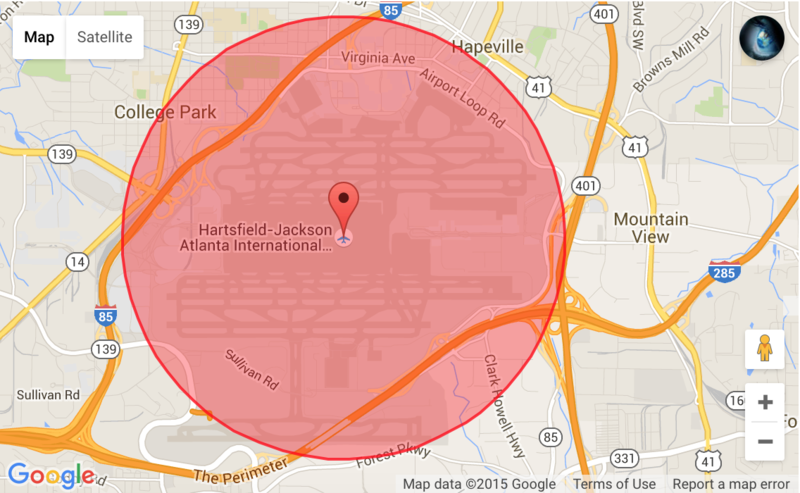 Alert zones will appear on the map as shown below. Parent site - The button is used when creating sites within a previously created site. If you are creating the main site, leave this box unchecked. 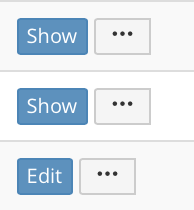 If this is a sub-site of a site you have already created, click the checkbox and choose the already created main site(Parent site) within the dropdown menu for this sub-site to be linked to. This feature is excellent for large sites that may have multiple enterances or locations for material to be delivered. (See below for example). Notes - This is for additional information about the site you are creating. This field can be left blank. Can be used as additional direction for sites without an address. After entering all information on the Create Site page, click save. Your newly created site will now appear on the Sites page as shown below. You just created a site! Notice the buttons on the right side of the page. The site you just created has an "Edit" button but the other sites have a "Show" button. You did not create the other two sites therefore you do not have permission to edit them but they are public sites so you do have permission to see them and use them when creating a job. To create a sub-site, check the button. After checking this button you must choose a Parent site which can be any available site. 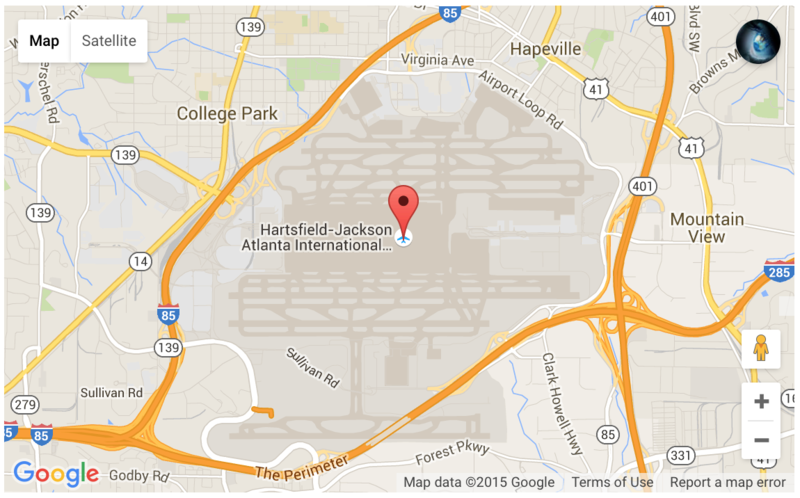 The site "Hartsfield-Jackson Atlanta International Airport" was created above as an example. Since this is a very large site, a sub-site was created to help the driver find exactly where he/she needs to go. The blue pin is the location of the parent site and the red pin is the location of the sub-site you are creating. After clicking Save your new subsite will be created. This is how it will appear on the Sites page. This is very useful if the site is large or if there are multiple enterances or drop offs.